Mix the mushrooms, butter and seasoning together then stuff and truss the grouse. Once this has been done, cover the breast with streaky bacon. Roast the grouse in hot oven 250c for 25 minutes to cook till slightly pink and let it rest for five minutes. Place on plate, return the grouse pan to the hotplate and add game stock and dry sherry to the pan, scrape the juices off the pan and reduce, season to taste, and pour over the bird. 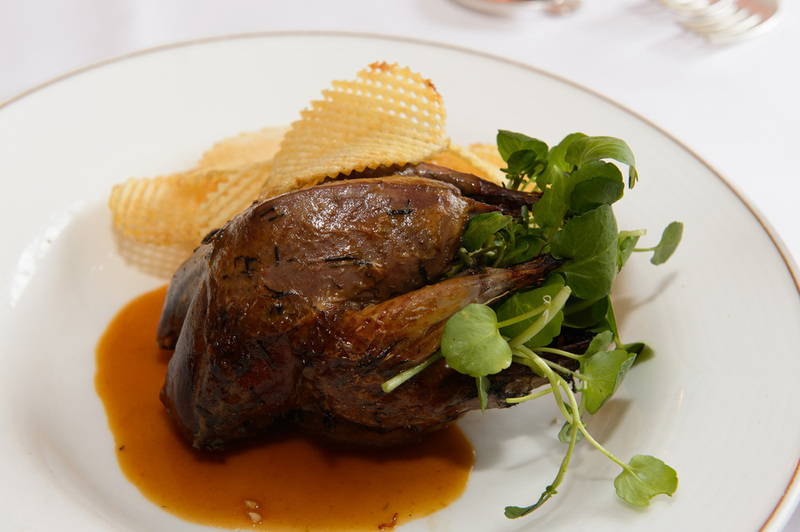 Serve on a crouton, spread with Grouse liver pate, and add bread sauce and game chips.